At present, the main act of worship is the sung Eucharist using Common Worship Order 1. We use four home-produced booklets to take advantage of seasonal material and the various options of Common Worship. 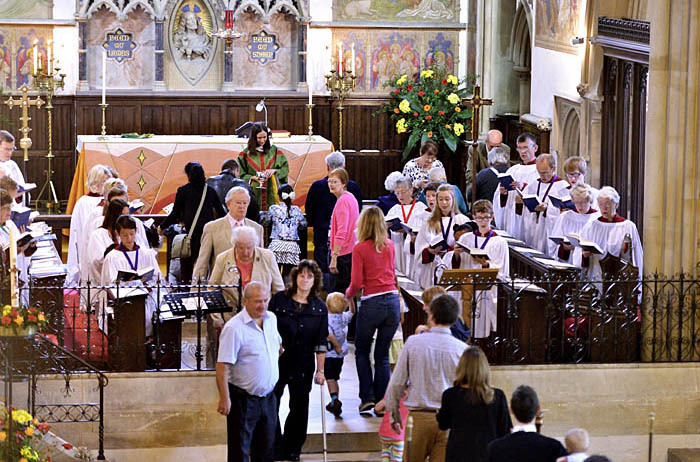 Although the parish Eucharist could be described as ‘mainstream’ – all clergy, servers and choir are robed – we are more flexible for the other services. The description of the Church gives some idea of how we use the building for worship. There is a team of vergers who act at the major Sunday services and at the occasional offices. Members of the congregation also read lessons, lead the intercessions and assist with the administration of the sacrament. 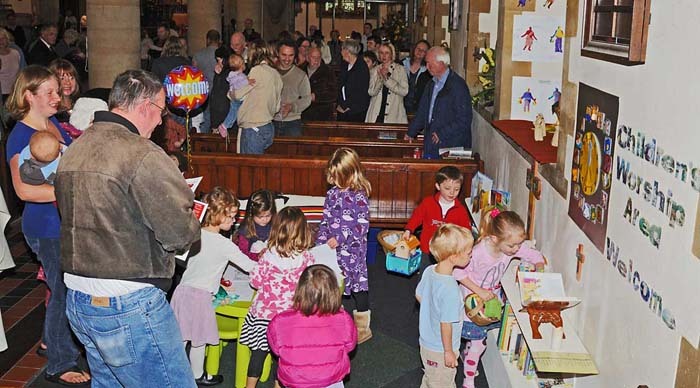 We have a area at the back of the church where small children can be with their parents/carers who are still able to participate in the Service. 10.15am Tots ‘n’ Teddies (during school terms) for children up to school age and their parents/carers followed by refreshments and play in the hall. 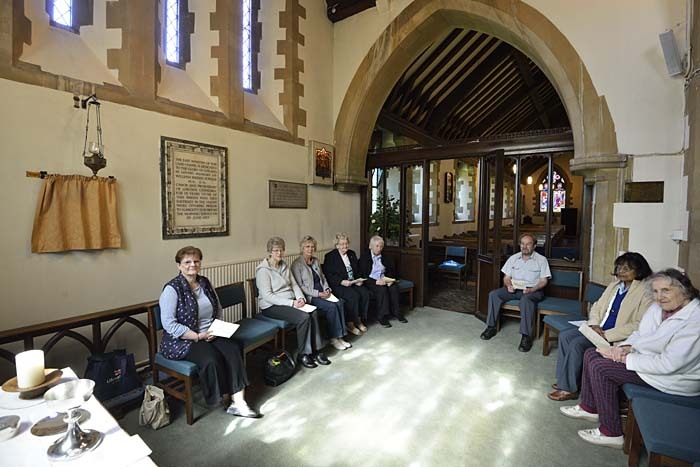 In addition, Morning Prayer is said in the Lady Chapel at 9.00am on Mondays, and at 8.30am Tuesdays, Thursdays and Fridays. There is a parish list of all the families and individuals associated with St Peter’s including those not on the electoral roll. All are prayed for by name at Morning Prayer in a four-week cycle. 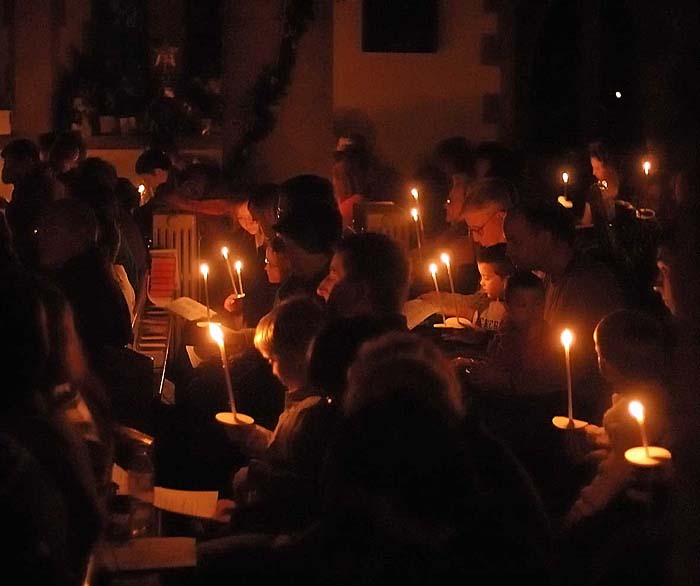 a Christingle Service and a Crib Service.